Hard Hitting Promotions is pleased to announce the signing of undefeated bantamweight prospect Emmanuel “Salserito” Rodriguez to a promotional contract. Rodriguez, 25 years old of Newark, New Jersey by way of Quebradillas, Puerto Rico has a record of 3-0. Rodriguez had an amateur career that saw him compile a record of 78-11, which included a being a New Jersey Golden Gloves Championship, three-time Diamond Gloves champion, two-time New Jersey state champion, two-time Puerto Rico national champion, Elite Heat champion and a bronze medal winner at the Wilfredo Gomez International Tournament. He turned professional on April 22, 2017 with a four-round decision over Jaxel Morrero. 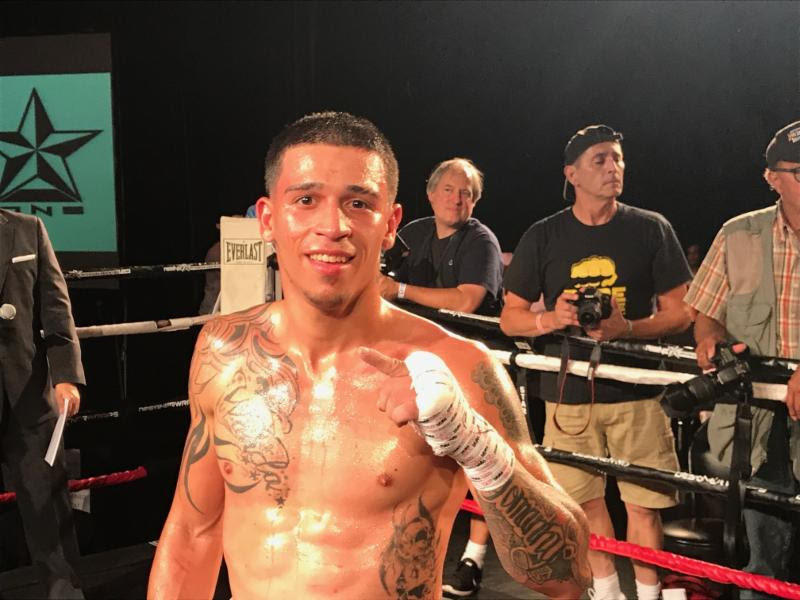 In his last outing, Rodriguez won a four-round unanimous decision over Ndira Spearman on June 29th in Bensalem, Pennsylvania. “I am happy to be with Hard Hitting Promotions. They are one of the best promoters on the East Coast, and I like the way they work with people,” said Rodriguez. Rodriguez joins Hard Hitting Promotions stable of fighters which includes junior welterweight Branden Pizarro (12-1, 6 KOs); lightweight Jeremy Cuevas (11-0, 8 KOs); junior welterweight Samuel Teah (14-2-1, 7 KOs); super featherweight Gadwin Rosa (8-0, 7 KOs); super featherweight Christian Tapia (6-0, 5 KOs); light heavyweight Benny Sinakin (1-0).